Finding a cheap removal company can be difficult. Companies offering small removals are often in high demand, and therefore they can charge a premium rate for their service. Relocating is already a huge headache so the more time and money you can save when moving the better. Planning and preparation in advance can help you save money, as can being flexible with your moving dates. Fitting in around moving companies’ schedules can help you save a bundle. When you’re planning a move, it helps to compile a checklist to help you keep track of the multiple tasks to do. We’ve given you some of the most important below. 1. Let others know: Let your close friends and relatives know where they can find you. Make sure you give notice to authorities like Revenue and Customs and the Local Council. Notify energy suppliers, swap your TV licence and change any other subscriptions services – like internet and health clubs. You can also apply for re-direction of post, though there is a fee. 2. Clean out: Have a boot sale, donate to charity or get online to sell your clutter. You don’t want anything weighing you down. The less you move the better removal quote you will get. 3. Contact a moving company: When you’ve sorted out the initial tasks of tidying and informing the proper parties of your move, you need to arrange a moving company. Moving companies provide varying levels of service when it comes to helping you pack and load, (see the next tab for more on finding moving services). 4. 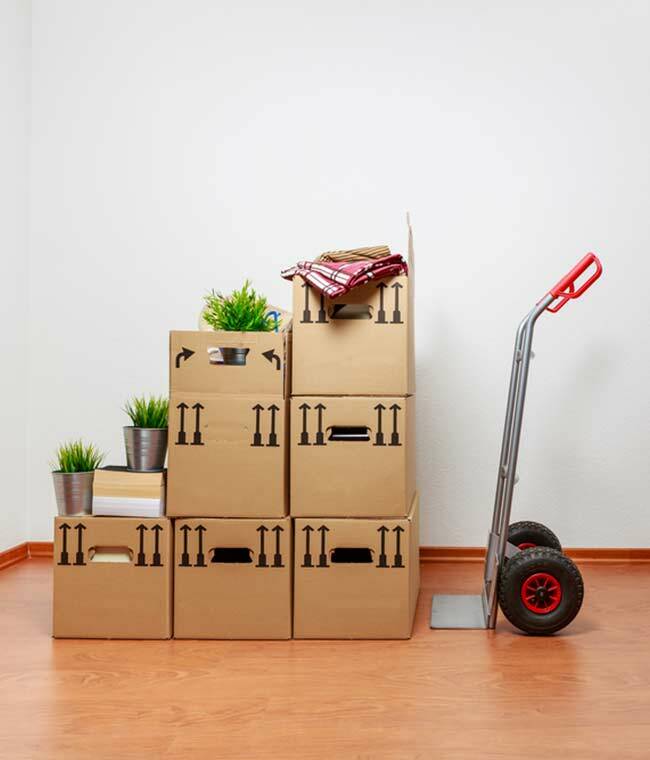 Boxing up: There are a couple of ways to save on packaging, doing it yourself can save you the cost of getting the removal firm to do it. -	Find boxes: Use old boxes when possible, you can also sometimes find some going free at your local supermarket. -	Least used first: The things you don’t need should go away first, these can be packed well in advance and stored or moved elsewhere. -	Be logical: Keeping the dinner plates with the bedside lamp won’t help you from an unpacking perspective, so try keep things together as much as possible. -	Safety first: Make sure you provide padding for breakable goods. This might be one area where you pack things in strange ways – you can use pillows and bath towels to good effect to keep antiques safe.Mark boxes as fragile! So the moving company know to take extra care. -	Keep an emergency kit: You’ll need some things to survive the last day before the move, so hygiene essentials and some food are useful. Takeaway menus can be useful too! 5. Scrub up: Doing the cleaning yourself is going to save you a bundle, so get scrubbing, don’t forget things like the oven, shower and toilets. You don’t want to leave a mess for the new owners. 6. Just before moving: Some things are best left late, draining out the refrigerator for example. Confirm with your providers that your services are being redirected or disconnected. Keep your emergency bag to hand and ensure you’ve got all your important paperwork for moving day. Hiring a van yourself can be the cheapest way to move, especially if your move is considered small removals. However, your home contents insurance may not cover any damages. Finding the cheapest service is a trade-off between the level of service you want and the price you are willing to pay. Here’s a rundown of what you can expect from different levels of removals services. Comprehensive: A full removals service will assist in all aspects of relocation, they’ll be on hand to help you pack and unpack as well as loading up their van themselves. This type of service comes at a premium, so if you’re looking for an inexpensive option it may not be for you. Partial service: These types of removal company can be much cheaper as you only pay for the loading and transportation of your goods. All the packing and unpacking fun is down to you. Using this type of service can allow you to move in a flexible timeframe because you’re using less of the company’s hours. DIY: The really cheap removals option, this option either has you driving a rented lorry/van or just hiring a driver. This is much less expensive than hiring a specialist removal firm but means the most work for you. When considering any removal company you need to decide when cheap isn’t good value! If you want a cheap reputable removals service look for accreditation. The British Association of Removers and National Guild of Removers and Storers are two organisations that maintain high standards of service for moving companies. Even though moving services are busy, if you can catch them at an off peak time then you’ll likely save yourself a lot. Busy days tend to be Fridays and bank holidays, so being flexible with your dates can help you find a better quote. 3.How do I use Shiply to find a removal company? One of the best ways to find the cheapest removals quote is to find one who is making a return journey empty. Finding a small removal company with a spare time slot by phoning around for a quote can be a bother. This is where Shiply comes in. By uploading the details and date of your relocation to our site, the quotes will come to you! Including an inventory of what you are moving can help you to know what kind of removal service you require and also help you get the best quotes from removal firms. UK removal companies that are available to help with your move will quote competitively to win your removals job. This way you can compare companies and find the cheapest quote. Once you’ve got the best quote you just have to agree the specifics with the removal company and you can get your house move underway. -	Check if the last tenants left you a guide to the new house – this might include local amenities or details on nuances of the house. -	Make sure you check that nothing’s been broken since you last visited. - Say hello to your new neighbours, depending how late in the day it is it might be the best time to introduce yourself to the area. When your move has completed and you’re happy, please leave a feedback score for the removal company you used on Shiply. Using feedback helps our users find the most reliable transporters and also helps the moving companies know how to improve in the future.